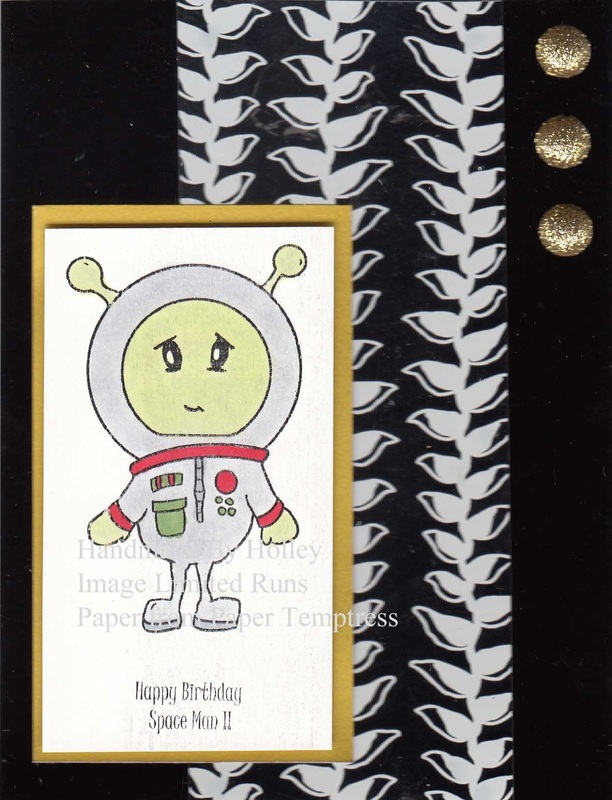 The background of the card is a glossy black cardstock. I mounted the image printed on Neenah Solar White Classic Crest paper onto some glossy glamour gold cardstock. To add some wonderful background, I am using some great Hambly Overylay. This wonderful pattern is called White Helconias. 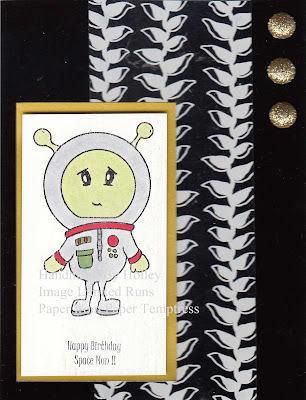 I totally recommend the 6×6″ packages which give you a wonderful selection of the overlays in all different patterns! Then I finished off the card with some wonderful gold bling.